Adding insulation to your attic is a blast with the AttiCat Insulation Blowing Machine! It conditions the AttiCat Expanding Blown-In PINK Fiberglas Insulation by breaking it up and fluffing it, adding millions of the tiny air pockets that give the material its insulating power. The insulation is conditioned further throughout the length of the hose, and as it bounces its way up to your attic, more and more air pockets are added, increasing its insulating power even more. 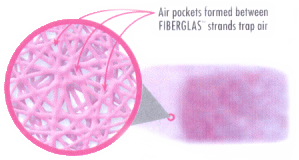 And since Fiberglas insulation will not settle, it will keep its energy-saving R-value over time.